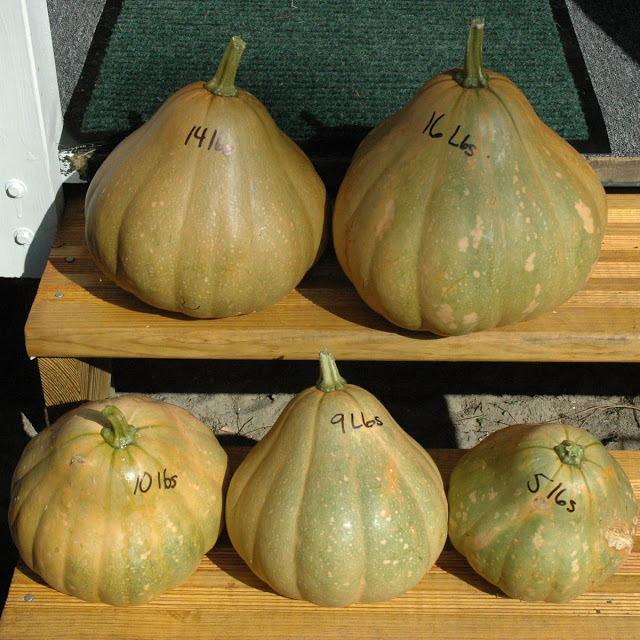 This page is a resource for people interested in varieties of Seminole pumpkins and their genetics. Over the last few years I’ve noticed a lot of difference in squash varieties named as types of Seminole Pumpkin. The line I’m growing is of unknown origin and routinely bears large, light tan and very sweet orange-fleshed fruit averaging 6-10lbs per pumpkin. Most are roughly round, some pear-shaped. 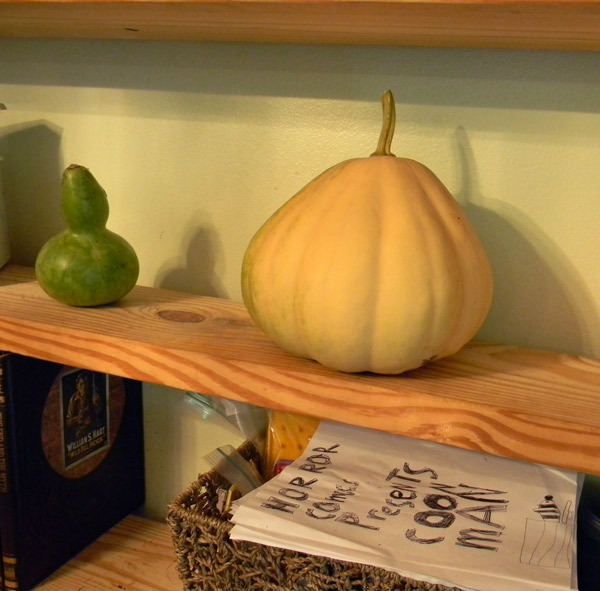 One of my Seminole pumpkins (in back) beside others. For reference, I’ve started collecting photos and details on the various lines, trying to include sizes, seed-sellers, growers, locations and whatever other data is submitted. 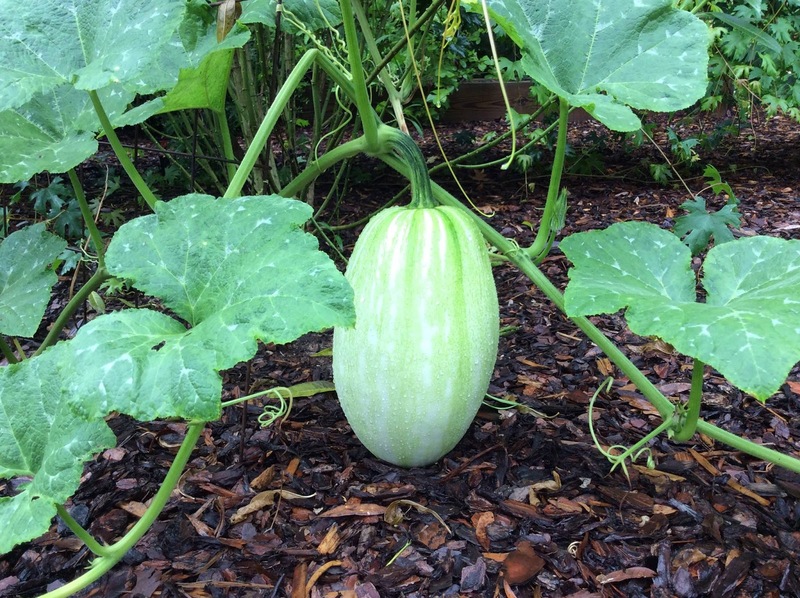 This is an ongoing project – if you are growing Seminole pumpkins, please submit your photos and all the information you have on their origins. Seminole Pumpkins are a part of Florida’s heritage and are worth breeding, maintaining and sharing! Interesting green and spotted mottling on these. Looking at this selection and the top two orange specimens, they seem to be C. pepo and C. maxima varieties, not C. moschata as a true Seminole pumpkin would be. Note the thicker stems without the deep scalloped indentation common to C. moschata. 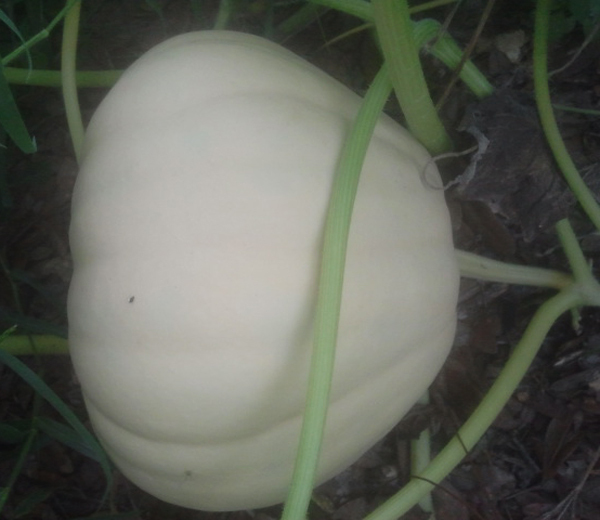 These have a bit of white patterning on the fruit that some Seminole Pumpkin cultivars lack. They also exhibit good-sized fruits. got my home grown seeds confused with something else. Whaddaya think? Possibly a cross. Joe Pierce in Micanopy (owner of the Mosswood Farm Store) also has lock-necked types in his garden as of 2015. 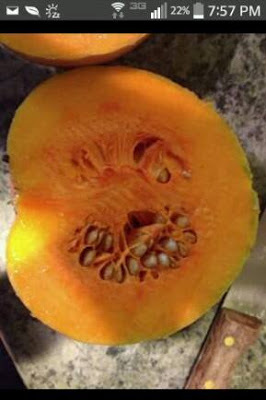 This variety could be worth inbreeding to create a new line with thick necks, comparable to the good flesh to seed cavity ratio found in butternut cultivars but with Seminole Pumpkin vigor. The green-skinned types can be found in online photos; however, Andi’s is the first one I’ve seen growing in this area. NOTES: Ariana writes “They came from you (David The Good).” Crop of 2013. These seeds originated at the Edible Plant Project, not from my personal unknown line. I shared a packet I had acquired in 2013. Definitely the smaller buff strain. Similar to those I’ve seen shared at the Marion County Agricultural Extension. NOTES: Mart writes “They are amazing. And ya the genetics are wild at times.” Seed source: Just Fruits and Exotics. 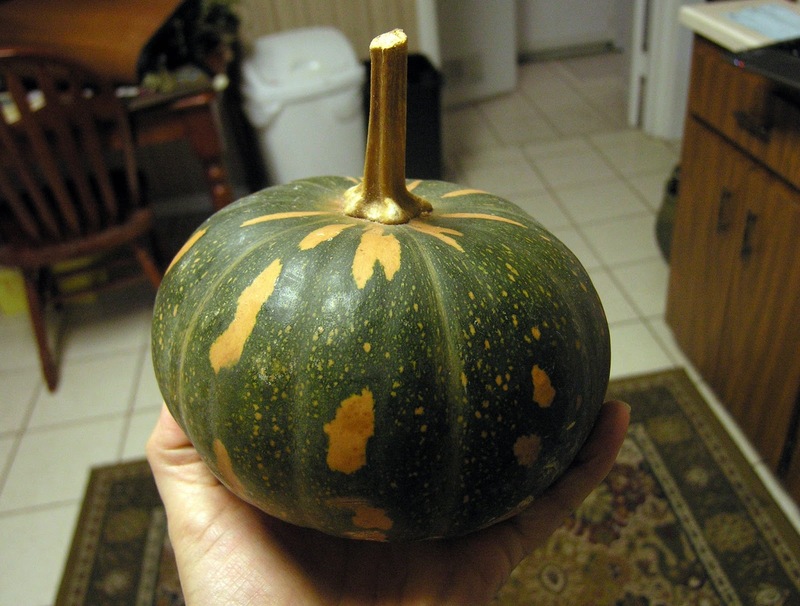 Mart’s pumpkins are similar to my line; however, they often exhibit some white blotching and spots. NOTES: This is my line of Seminole pumpkins (images 2014). I believe they may have some from Southern Exposure Seed Exchange originally; however, the images they have on their website do not look like what I’ve grown. Flavor is excellent. Fine, sweet orange flesh is like a combination of an excellent sweet potato mixed with a great butternut squash. NOTES: Crop of 2014. Seed source unknown. NOTES: Purchased at the Union Street Farmer’s Market for a ridiculous $10. Vendor told me seeds originally came from the Edible Plant Project. Larger than some of the ones I’ve seen but not as big as Mart Hale’s or my line. 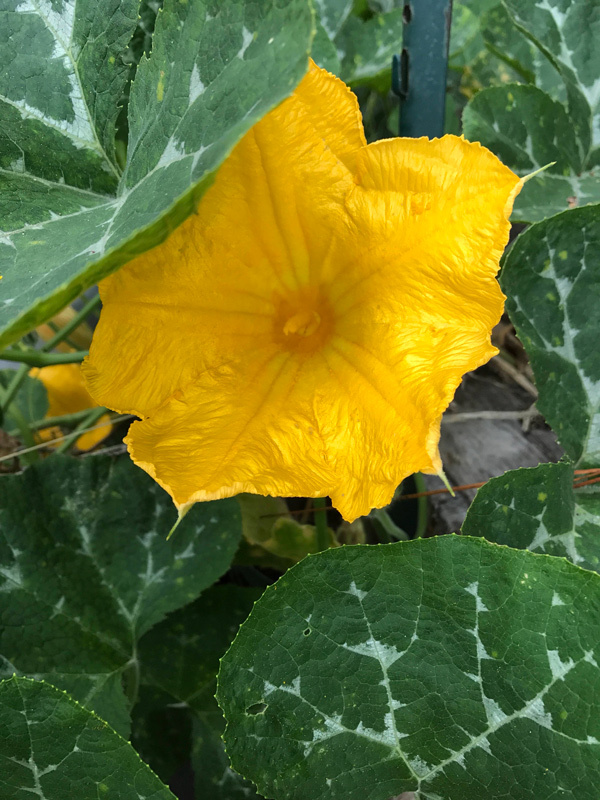 This variety shows quite strongly the white mottling I’ve noticed on many Seminole Pumpkin leaves, though the blooms are a bit smaller than those on my line. 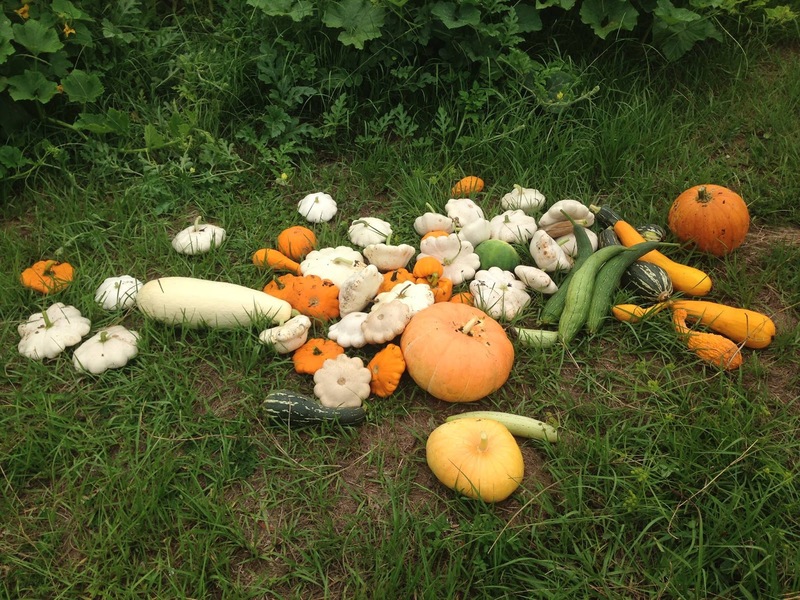 70lbs of pumpkins from 1 seed is a great yield, so this is definitely a vigorous variety worth preserving. 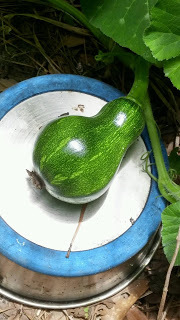 Acorn squash are C. pepo, so the chances of a cross are incredible low; however, there may have been another C. moschata growing somewhere nearby, or perhaps they were just happier. These seem to be the small-fruited type that keeps popping up. They may have also adapted to the area or drifted a bit genetically. Bigger is good! NOTES: These look like the common small type I’ve gotten from the extension office. Dan reports that the vines went “crazy,” which fits the vigor reported by all Seminole pumpkin growers. The one thing that looks different on these is the bunny ears on the pumpkin to the far left. I haven’t seen bunny ears on a Seminole pumpkin before – perhaps it’s a trait worth breeding for. Thanks, Dan – I really appreciate it. I love seeing children that are interested in gardening. NOTES: The cross between butternut and Seminole is quite apparent in the top images. 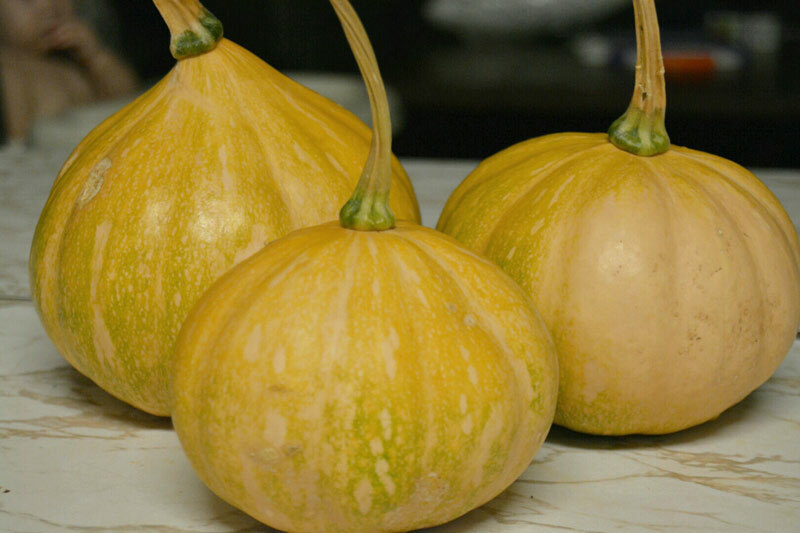 Interestingly, the Geraumon Martinique squash is able to interbreed with Seminole pumpkins since they’re both in the same C. moshata group. It would be quite interesting to see what would happen with the next few generations if they happened to cross in the field. Butternut/Geraumon Martinique/Seminoles – with downy mildew resistance? Good potential. Thanks for the photos and write-up, Gene. 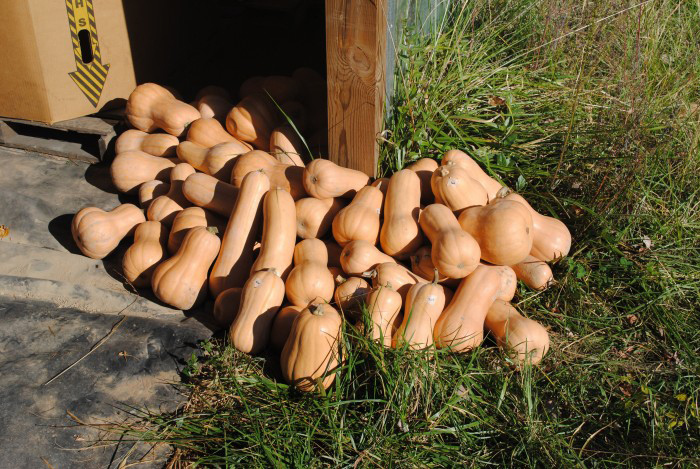 Unlike some vegetables, squash and pumpkins are very genetically robust and suffer little if any from inbreeding depression, meaning you can save seeds for years without much trouble. Kudos to Darlene for maintaining this lie for five years thus far. Her comparison between these and regular pumpkins is quite helpful. 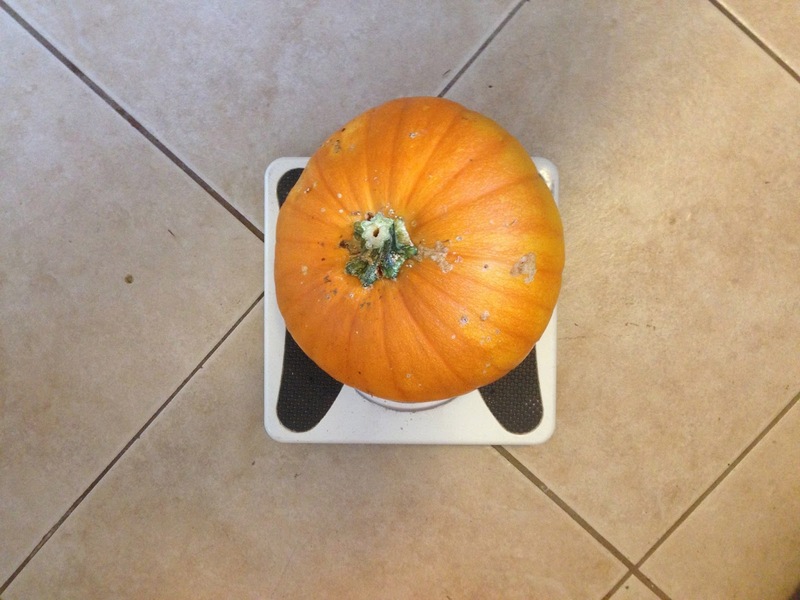 Seminole pumpkins do seem to have some serious pest resistance compared with traditional strains. In this case, it may be the difference between C. moshata and C. pepo. This is the larger-fruited strain which I think is related to the “tan cheese” Amish C. moschata pumpkins. 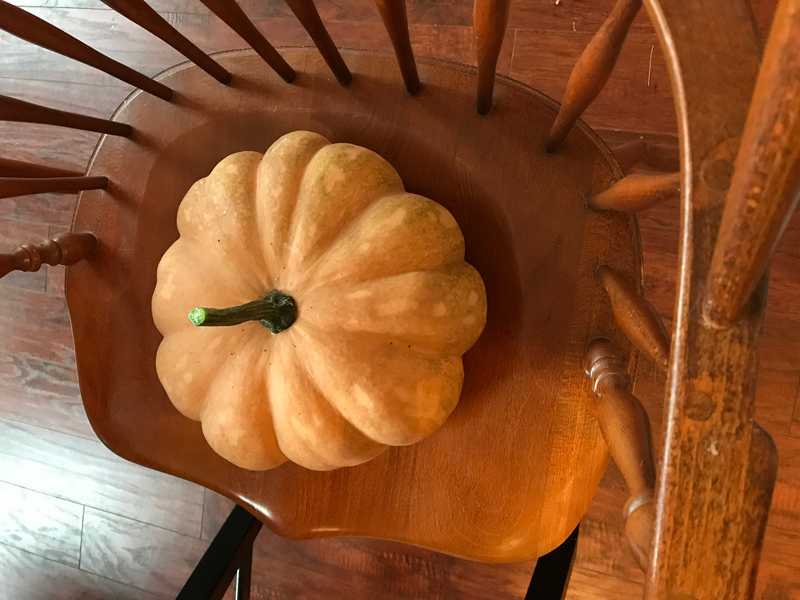 Robert writes that these pumpkin seeds were “from a lady in Ormond.” Crop from spring 2018. 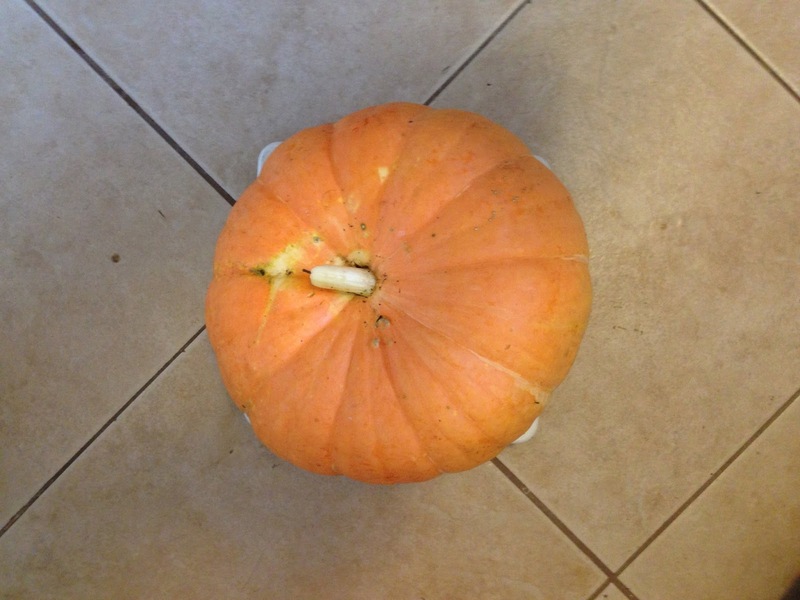 FINALLY: Do you grow Seminole pumpkins? Send me your stories and pictures for this collection! 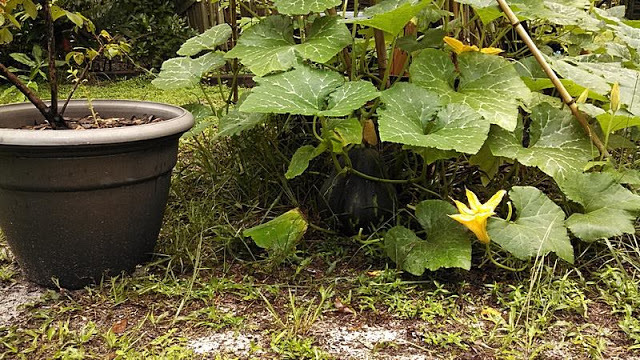 This year I was able to get an early start on my Seminole Pumpkins. Many of them have already lost all of their green and are that orange-brown color. How do I know when to harvest them to allow the others to mature? (And hopefully produce more.) Last year I just harvested what I had of the dead vines. Thanks! Congratulations! I harvest them when the pumpkin stem turns yellow. Clip and leave a couple inches of stem, if possible, without hurting the main vine. Then leave your harvested fruit on the counter for a few weeks to sweeten up for the best flavor. Thanks for the tip! I've been letting them cure. Can't wait to bake them up. I am incredibly disappointed in my pumpkins this year. They just started fruiting now in the highest pest-pressure month of the whole year. I don’t know if I’ll get any mature fruit or not this year. They may surprise you and do a good round this fall. Mine tend to produce in spring, then it gets hot and they drag, then they kick in again until freezes. This is my first year growing Seminole Pumpkins (planted in early Spring) and while the vines have gone insane and are huge and sprawling I’m not getting a bit of blooms or fruit. I have composted them. Is this delay normal? Also, could I plant some now or is it way too late in the season? Thanks a bunch! No blooms at all? Could be a: too much nitrogen or b: not enough direct sunlight. They do take a while to get kicking, but this is quite late for them to still go without fruit. You could try another round if you’re south of Orlando, north of Orlando it’s probably too late. I am directly west of orlando-straight across for the most part. Think I got a chance planting again? And thanks for the response! Try again – you have nothing to lose but a few seeds. Congrats on the blooms! May they bear in profusion. 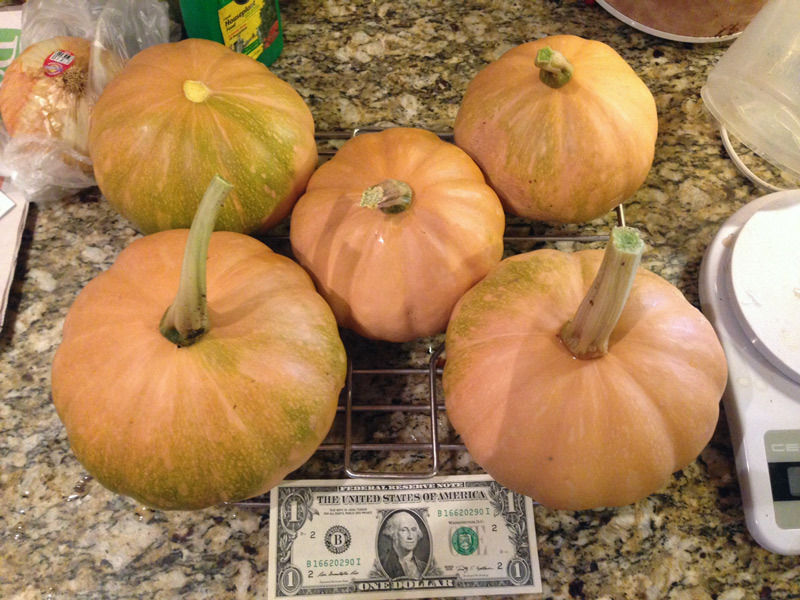 My pumpkins are smaller and definitely go tan not orange when ripe. They have the common pumpkin shape with an occasional ‘peared-out’ ringer. 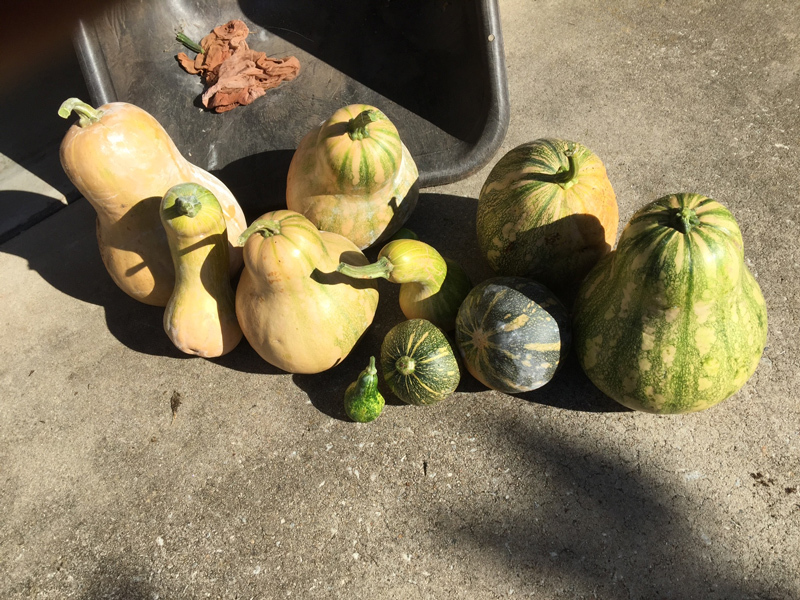 Many of the odd ones above sure look like the parents met a cute butternut squash or C. pepo pumkin on a date. 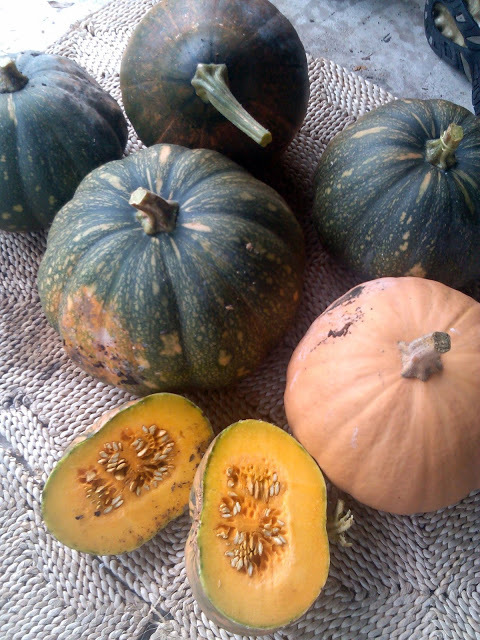 The mottled ones ones in #5 are dead ringers for the Costa Rican Calabaza you see in the grocery stores. 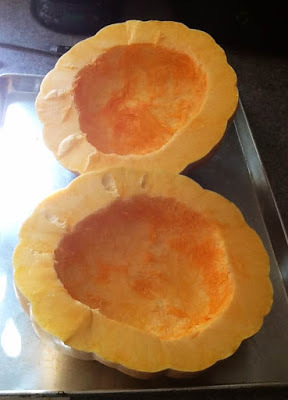 Varieties of squash and pumpkin have to be about a half mile away from each other to avoid cross pollination if you want the seed for next year rather than for roasting. Yes – I believe there’s been a lot of crossing going on. I’m Tampa (northwest Hillsborough County) and started my seeds in late July. 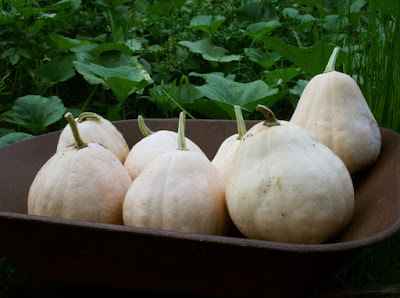 They were pass-alongs from a plant that produced smallish buff-colored pumpkins. 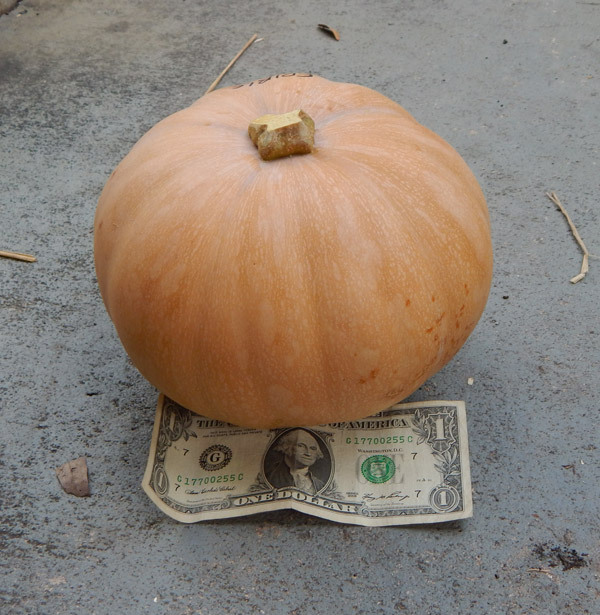 I’m now getting my first, tiny pumpkins and was surprised to see today that the first of these, a little bigger than a cat’s-eye marble, has already turned yellow with large black spots. The vines are vigorous with lots of blooms, though they’re in sandy soil that isn’t well amended. I’ve been fertilizing with fish emulsion and they get full sun. Any thoughts on what’s going on and – more important – what I can do about it? That little one was likely not fertilized or perhaps rotted due to the humidity. The rain is rough on them, too. Keep doing what you’re doing and hope for the best. 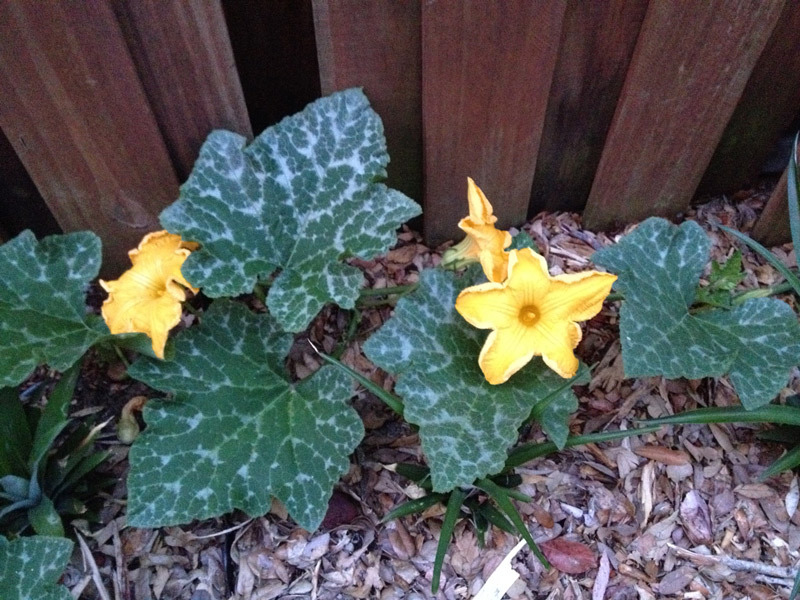 Next year plant in March – they’ll do much better. Thanks for stopping by. 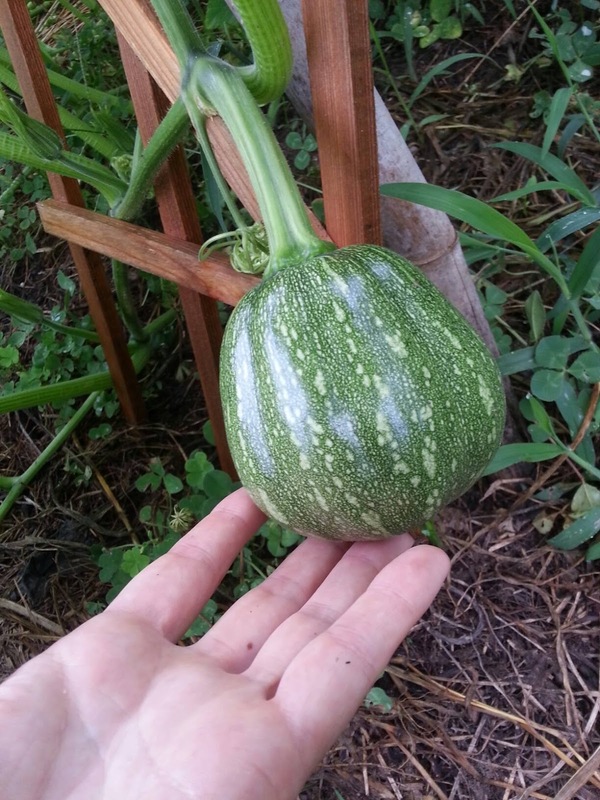 So happy to see how many people are growing Seminole pumpkins. I had no idea there were so many variations. An article from the 70s by a Julia Morton said there were at least 3 different varieties. I’ve been growing the “Ingram Billie ” variety which originated in the big cypress area. They resemble those shown in photos 17 and 18. They are delicious and nutritious !!! The hundreds of pumpkins I’ve grown came from one plant given to me as a gift about 10 yrs ago. My garden is very isolated so cross pollination isn’t an issue. Very little variations in size or shape. Thanks for going to the effort to get this information out there. Very important crop for Southern growers yet so many folks have never heard of them. Thank you, Trisha. Great comment – thanks for the additional info. If you get a chance, please send photos of yours! Got Seminole pumpkin seeds from BC in 2014. I grew one plant in a 20 gallon container on my 700 Sq ft rooftop. It nearly covered my entire rooftop, I had to keep cutting it back to let my other veg have a chance. It put down roots in 2 other containers also. I ended up with pumpkins just like pic #17, maybe a little smaller. I thought they were just small because they were grown in containers but it looks like I have the small variety. I have plans to cross it with a larger variety, maybe a honey pumpkin I got from China. They are more elongated, incredibly sweet and have the same buff color. Can’t wait till next year 🙂 I will also protect a few blossoms so I can keep my Seminole pure for seed. Thanks for all the info about this strain. That’s marvelous, Matthew. I love interbreeding lines and seeing what happens. “MJ’s Honey Seminole” has a ring to it. I’d love to post a pik but I’m a bit of a dinosaur and haven’t quite figured that out. But… If you’ve seen the Growingyourgreens YouTube video about the Seminole pumpkins, John Is holding one of my pumpkins in front of my booth at the Palm Beech Gardens market It’s a couple videos under yours I’m on a bit of a mission to get people growing these wonderful pumpkins Thanks for getting the word out ! This is the second year I’ve planted Seminole pumpkin, the seeds of which I bought from Baker Heirloom. They grow well in our central Fl. soil ( near Zephyrhills) and are gorgeous plants. The vines take over so it’s best to grow near a tree. 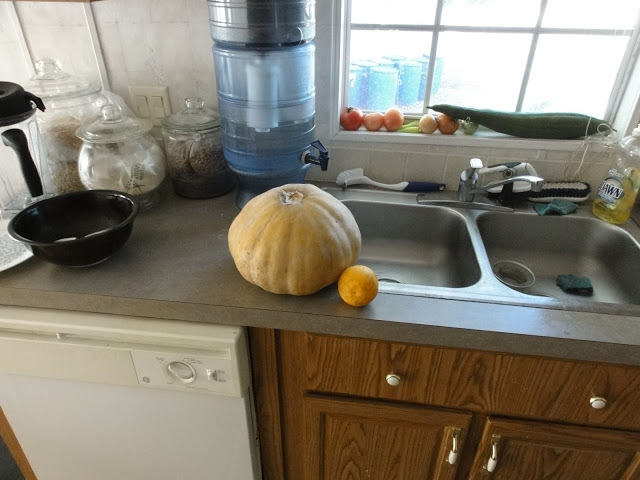 The first one I ever harvested was hanging out of an orange tree. They are very sweet and delicious and keep well. Thanks for the report. Out of an orange tree – love it! 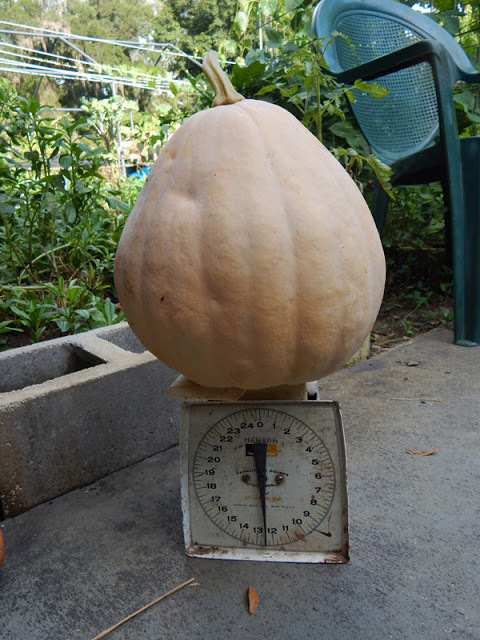 Wow – you are a dedicated pumpkin grower. I’m obsessed with them and their variations. Thank you for stopping by – hope you come back and share some of your successes. Hi David…..I found your site a few weeks ago and so enjoy your sharing of stories, life, etc. I got your Food Forest book from Amazon (I think that is where I got it…..I’m old….fading memory) and love, love, love it 🙂 My husband and I live on 10 acres in Fellsmere, FL and have been planting, harvesting, fighting the bugs, heat and rain for about 8 years now. I consider the statement “making progress” about the best I can do when it comes to any question about how things are going on the “farm”. We do have a like minded community here in Fellsmere and more and more people seem to be pursuing a self reliant life style. Fellsmere now boasts a farm raised, organic shrimp farm as our newest commercial entity but there are so many small agricultural “businesses” here. I just wanted to introduce you to our special area just in case you never heard of it. I was interested in your site because you were giving all kinds of good advice about our unique Florida environment and appreciate all the information you pass on 🙂 I want to grow Seminole Pumpkins this year. I am looking for seeds that have been grown in my area. Should you happen to know of anyone that I can buy seeds from would you share that information also? Good luck on selling your property and moving further south…….ummmm…..just in case you forgot……it’s hot David……it’s really, really hot David. And there are mosquitoes……lots of mosquitoes……. Hey, Mitzi! I’m less than 10 miles away from you….and I got some Seminole Pumpkin seeds from folks right there in Fellsmere….Byron Ashby of Three Wise Acres. They sell peaches on the roadside in Fellsmere that they grow locally. If you can’t locate them, send me an e-mail and I can give you some! dollinsdarlene@yahoo.com. 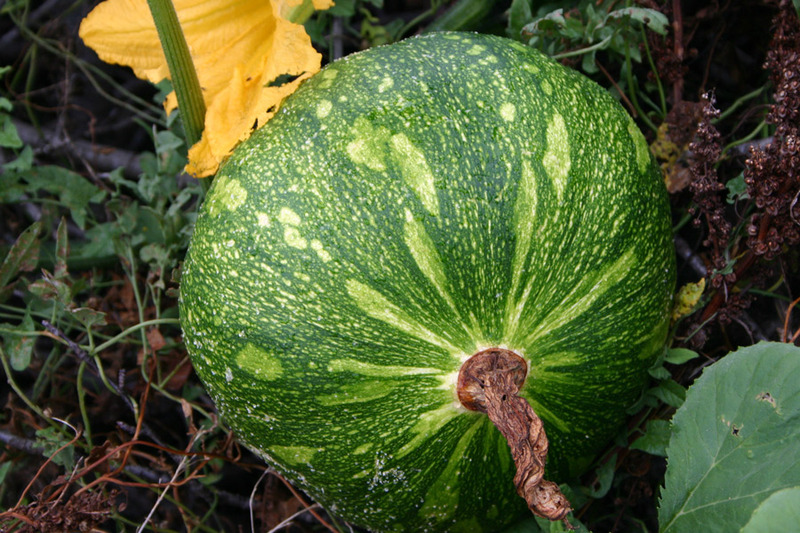 can anyone be so kind and let me get some of this wonderful Seminole pumkin seeds please? 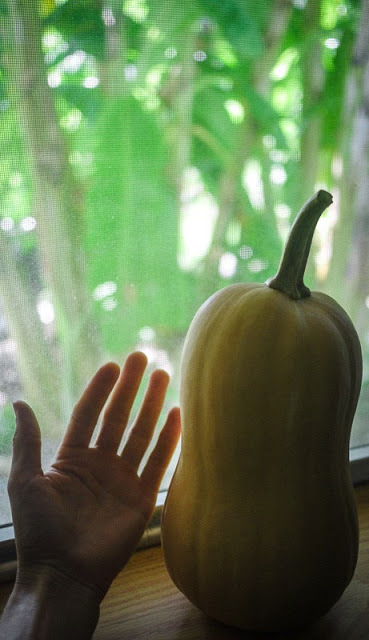 the more I read the most excited get since I haven’t get any luck with my intent of growing pumkins…I live in south florida… thank you in advance….. I grew out a butternut/Seminole cross this year from 2014 seeds from Twin Oaks seed farm in Virginia, I think they were f4 generation. They had a lot of variability, some neck pumpkins up to 16 lbs, some butternut shapes and some with long necks. Good taste! The important thing to me was they were totally resistant to Downey mildew, probably because they out grew it, vines were huge! I’m in Greenville SC, not Florida. I bought them from a coop, Seedwise and have saved some seeds, plus will order the F5 from them for 2016. Just found this site today. I have pics, but I don’t know how to post them. Hi Gene – glad you found me. You can e-mail pics to: david@floridafoodforests.com. I’d be happy to post them. 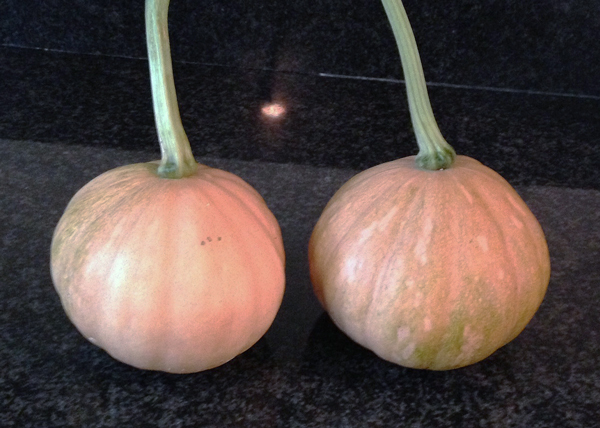 Congrats on your harvest – they’ve never had much mildew on them here, either, and Florida is rough on pumpkins. 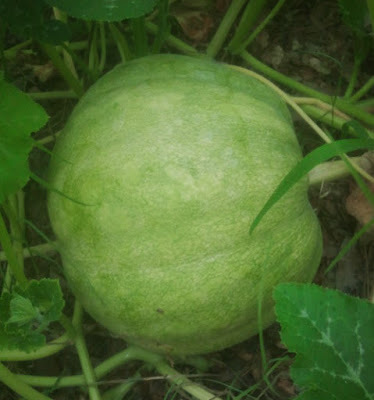 Four years ago we planted a few Seminole Pumpkin seeds in a flower garden located at the south end of Baldwin Co. Al not too far from the Gulf of Mexico..The seeds germinated, the vines took off running, seemingly immune to vine borers, stink bugs, and leaf diseases. Those vines eventually climbed small trees and large azalea bushes allowing us to harvest fruit at eye level until December…our bounty of fruit was stored in our pantry and enjoyed until the following July, when our supply was finished. We saved seeds and three years ago were able to give out 200 twelve seed packets…great stories came back to us. One of the oldest and largest family farming operations here in the county is to begin its commercial dehydration factory this year, with target crops chicory, kale, and sweet potatoes…we have introduced them to the miracle crop called “Seminole Pumpkin” with hope they will evaluate it this year for possible inclusion into their line of dehydrated food products. That is awesome – thanks so much for the story. 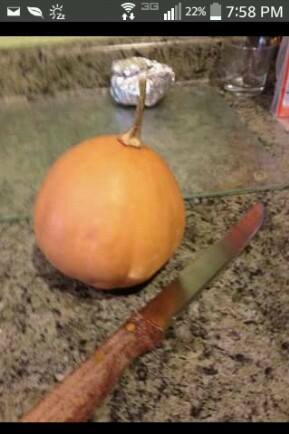 They really should grow Seminole Pumpkins. It’s like nothing else. Hello David, I found your site via the grow network site, which I’m now a member of. I was wondering if you would part with some seed if you have any to sale. Feel free to email me about it…thanks. Great site by the way. Purchased a couple of your books on amazon. Thank you. Drop me an email: david@thesurvivalgardener.com. Meant to update that I did wind up with 6 adorable little seminole pumpkins from our vines. Right now I have some more little plants going from the same seed, and also ordered the larger variety seed from Southern exposure-looking forward to see what I wind up with this year! Those vines really ramble! Also, I am going to grow some Tan Cheese Pumpkins-about how far apart would you recommend them to be so I don’t get any cross pollination from the Seminole pumpkins? Thanks! I’m going to attempt to grow some seeds from Northern Florida down here in Miami. I came across your website and absolutely love it (I was searching for growing tips on the seminole pumpkin)…your books look amazing, hopping on amazon right now! Thank you, Christian. Good luck! Hi David The Good. I have completed a PDC, and I am helping my parents start a food forest on their 80 acre property in North Florida. I just finished reading your two books “Florida Food Forest” and “Florida Gardening”. They were so great! I already have them full of highlighter marks for quick reference later! 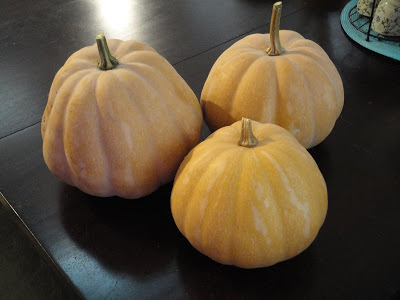 I would like to plant seminole pumpkins as the only squash on the property with the intention of saving and sharing the seeds, and I have been hunting for the variety you have shown above, “light tan and very sweet orange-fleshed fruit averaging 6-10lbs, pear shaped”. I haven’t had any luck locating this particular one for sale online. Can you point me in the right direction, or possibly sell me some seeds to get me started? Thanks! Thanks for stopping by. Get in touch with the Gainesville Gardening and Preparedness Meetup Group and tell them you’re looking for large-fruited types – they may be able to point you in the right direction. There are a bunch of seed lines floating around and some of them are much bigger than others. I’m in the midst of a move and can’t share any at the moment. Congrats on the PDC! I will check with them, thanks so much! Hello to a fellow florida gardner. We live in east volusia county. Check out our website. We don’t sell anything, yet at least. The site is for informational purposes. People were asking me how i do it. For the sake of not telling the same story over and over i published the information. Hi Scott, thanks for stopping by and for the links. does anyone have experience harvesting seminole early say at 1 pound. What is the taste, do you need to let it sit after harvest? any good recipes? They don’t keep well if harvested early. They’ve rotted for me. Eating them green will work, though, provided the rind hasn’t gotten too hard. Green sounds great – I haven’t tried that yet but have heard they’re good. Thank you for the field report. Wow great site! I’m checking in from St. Croix, US Virgin Islands. Originally from Lake Worth and then lived in Melbourne Beach for 5 years while I attended FIT. Been a Caribbean resident for 10 years now. Never heard of Seminole Pumkins until now. Definitely going to see how they do down here. Also recently learned about Everglades tomatoes which I will be growing next season. I look forward to reading more on this site and will take a look at some of your books available. Hey – we just moved to the tropics ourselves, as of last week. Thank you for stopping by. Both of those crops should do wonderfully in your climate. We just planted some Seminole Pumpkins here and will see how they do. I do extend my thanks for an illustrations on Pumpkin Project with various types. I have admired the project and am requesting for an advice on how I could go about to carry out such a money generating and food provision project. Which type do you think can do best in tropical areas ie. (East Africa). I need to know the cost of seeds for at least two acres of land, For about five best varieties for good yield. Do they need a nursery bed? How can I prepare the soils to meet its growing conditions? I will admire to hear from you soon. Bought my seeds last year from Baker. Several hearty/healthy looking plants. They had a few male flowers, not one female flower or fruit. Tried again this year putting two plants by front street as “edible landscaping.” One plant died; they other lived. Has had four fruits. Not sure when to harvest. Have taken one that is yellow on the underside and still green striped on top. Sometimes they don’t like the heat… the ones that planted themselves early in my compost pile always did better than the ones I planted on purpose. Wait until the stem attached to the vine is good and yellow, then cut it with at least an inch of stem attached. Then let it sit for a few weeks in a dry place before eating. The flavor definitely improves. Thanks for stopping by – I hope you get plenty more! I am growing some Seminole pumpkins that came up in my compost heap. I was very surprised because the only squash of any type that went into my compost was a very immature one that broke of a vine at someone else’s property. I took it home to see if it would ripen off of the vine, but it didn’. 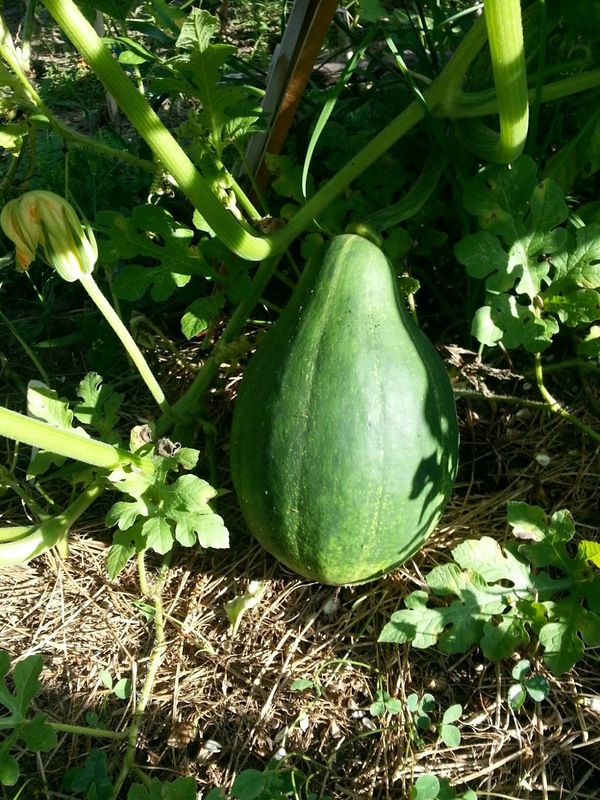 I cut it open and the seeds were very small, soft, and pale green. I did not expect anything to grow. This spring I found the plants growing in the compost. I planted 8 or 10 of them in pots on a whim. They have taken over about 500 square feet of my back yard. There are very few fruits. Lots of vines and lots of blossoms, but I only have about 6 or seven pumpkins. Two of them are not too much smaller than a volleyball. The others are about fist sized. I am looking for suggestions on how to get more fruit. I read online that the plants may need more calcium. Is it too late for that to do any good? Also, what is the best method to get calcium to the plants? One guy said to dissolve dietery calcium supplements in vinegar and put it near the roots or spray it on the leaves. That sounds a bit absurd to me. What method would you suggest? 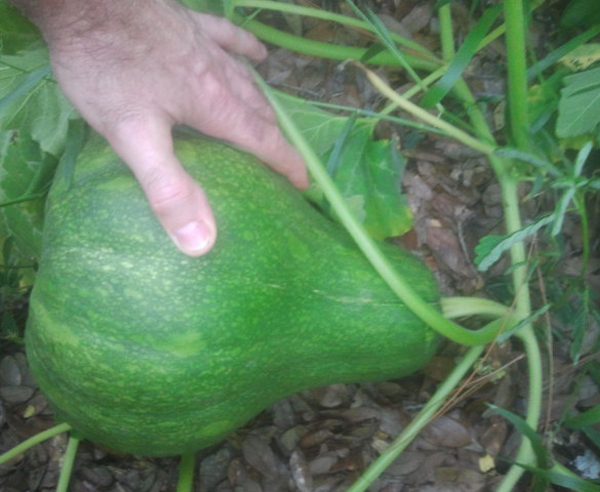 This is my third season growing seminole pumpkins here in Lakeland. I got my seeds from Inspire Seeds at our downtown market. The first year, I attempted to grow them up a tree. Although that didn’t work, I did get a huge vine that took over my back yard and headed to the neighbor’s yard. I got 3 pumpkins that were 1-2 lbs. Last year I grew the pumpkins from a large pot, 30″, and let the vine grow on top of my holly hedge. I harvested 10 pumpkins from two vines. I saved hundreds of seed. All of my pumpkins are round, buff colored and between 1 and 2 lbs. I kept them on the counter for months and they stayed fresh. I started this year’s vines in July in hopes of Fall fruit. That’s great! Can you send some pictures? I’ll happily add them to the page. 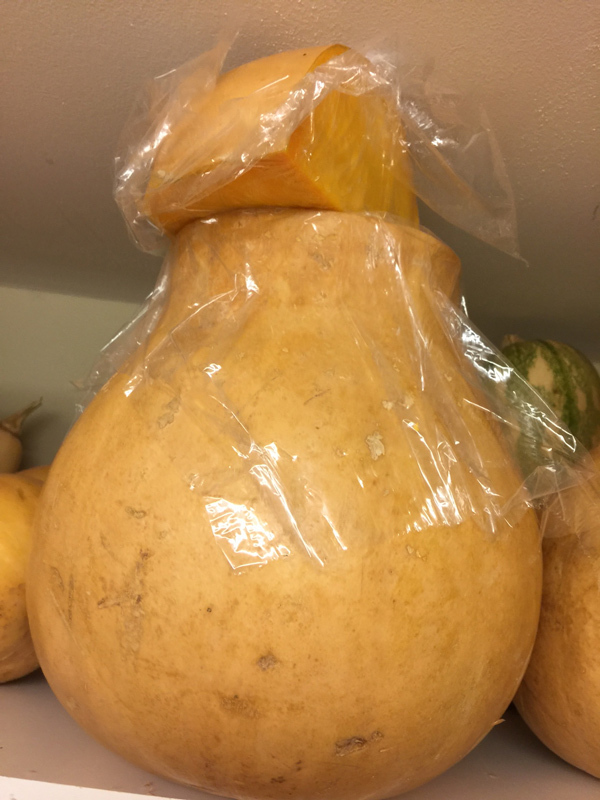 I did not notice any comments that explain how promiscuous squash are by their very nature. 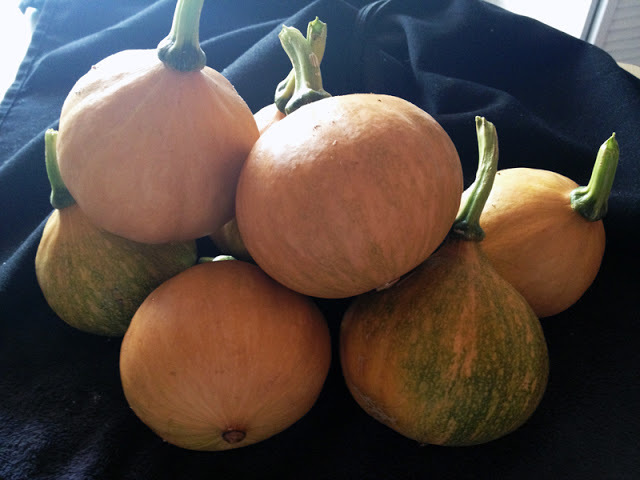 Plant any variety of squash and you will get cross pollination from any others in the neighborhood. Also, similar to apples which have genetic blueprint for dozens of varieties in each seed, regardless of origin of the seed the fruit that grows is determined more by the environmental conditions than the parent tree/vine. You can solve that with apples by grafting but not with squash vines. Yes, they are very good at crossing since they are outbreeders and pollinated by insects. 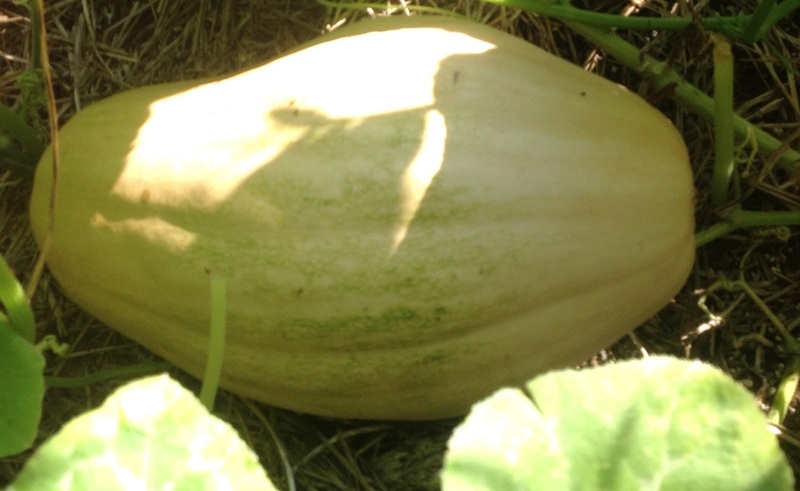 However there are multiple species of squash and pumpkin and those species generally do not interbreed. 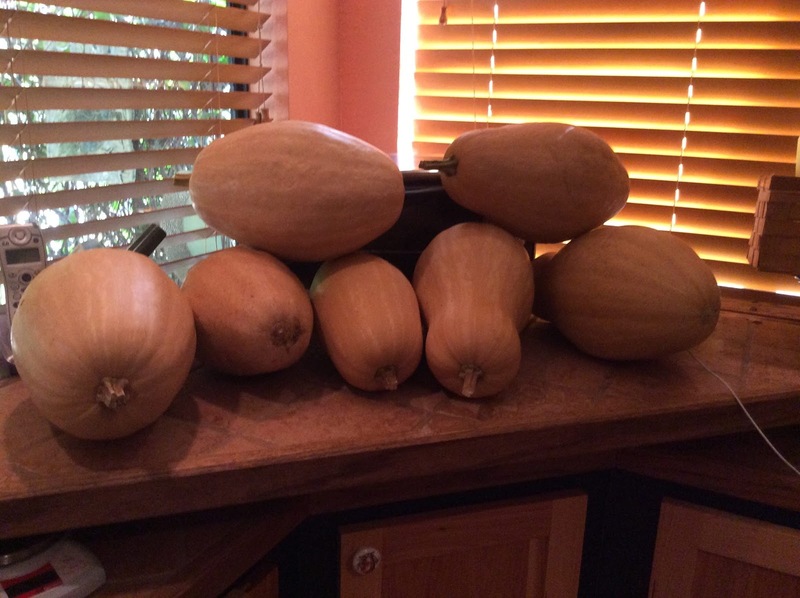 It is quite possible to breed a true to type squash or pumpkin. Boston Marrow, Hubbard, Tan Cheese… these will stay close to type unless interplanted with other varieties of the same species. 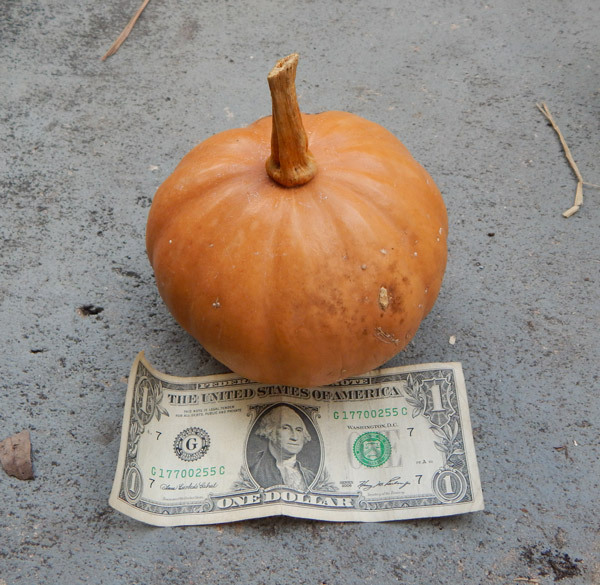 However, if any C. moschata types are growing near your Seminole pumpkins and you save seeds, all bets are off. I don’t buy the environmental conditions hypothesis; otherwise, we wouldn’t have any heirloom varieties of squash that we could count on. Thank you for stopping by — glad to have you here. I’m on my second planting of Seminole Pumpkin, seed from Baker Creek. 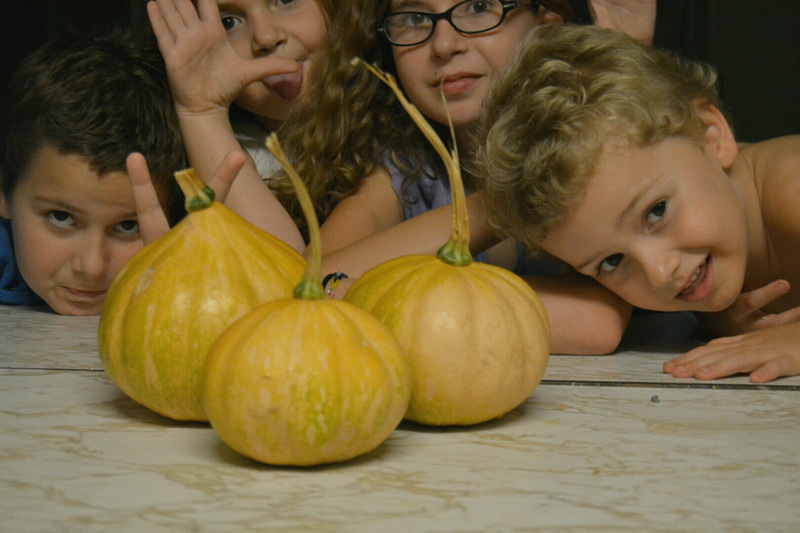 First planting last fall yielded only 8 pumpkins weighing between 1 & 2 lbs but they were delicious. This spring I planted 4 seeds, had 3 come up and the vines have now reached 30+ feet and are growing up an orange tree, over some lovely blue salvia and red dianthus, almost smothering some asparagus beans. There are only 8 pumpkins that I’ve seen but more may be hiding under the leaves. How can I make the pumpkins larger? Cut off the ends of the vines like melons? I’m in SW FL and we are getting plenty of rain, almost too much, and the entire garden bed is heavily mulched/composted so I have not fertilized. That kind of lab info is very valuable. Good thinking. Steve Solomon recommends doing just that. I keep turning the vines back on top of themselves. As for making them larger, I’m not sure. The first few usually got the biggest for me. And the ones with the most compost. Spring for sure – sorry for the late reply. Your comment got trapped. I’m in high springs. We planted ours in early spring and they produced all male flowers until September and then started producing fruit like crazy. Sometimes 4 or 5 females a day. I’ve been manually pollinating them just in case. They were started in raised beds of composted horse manure and then an armadillo dug up the original roots but they had already rooted outside the beds and all the vines survived. Also it looks like there may be some powdery mildew on some of the plant but it never takes over like it does on other types I’ve grown. Easiest thing I’ve ever grown. 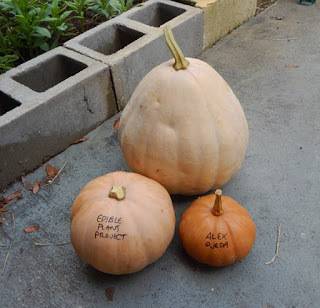 The seeds came from a customer of my brother in micanopy, he planted and harvested about 3 pumpkins in the shade last year and I planted seeds this year from a pumpkin that he gave us. I got some seminole pumpkin seeds from organic sanctuary in oviedo over a year ago. finally planted them a few months ago and they are growing like crazy. not sure if that url is going through or not. 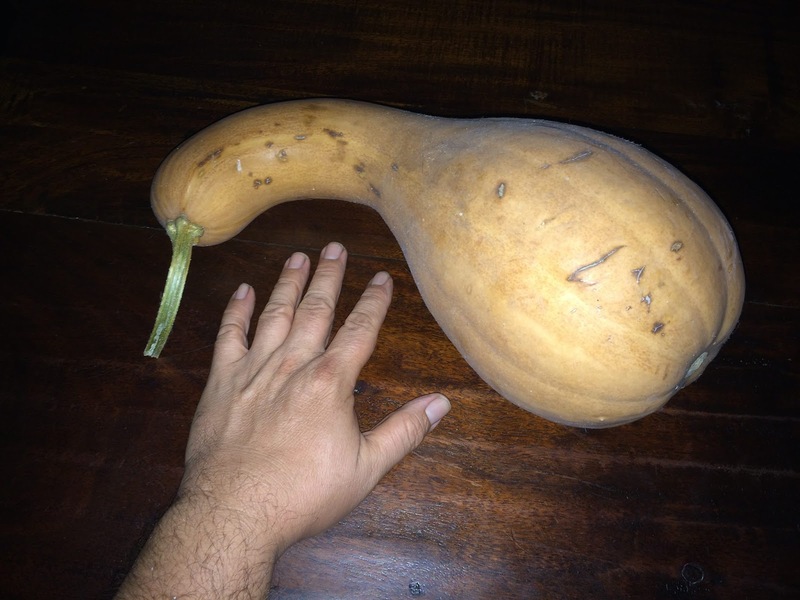 but, it was large and green looking like an oval shaped butternut squash. I’m getting 403 errors on both links – you can email them, though: david @thes urviv al gardener . c o m (take out spaces). Try another link – I would love to see it but it’s not coming through. I have what I’m told are seminole pumpkins. I got the seed from a local seed dealer in oviedo, florida. But, they are huge. several have to be over ten pounds already and they are all still that same color green. They look like a variety of Seminole pumpkin to me. A few of mine hit 14lbs! Once fully ripe (as in, the stem of the fruit has yellowed up) and brought inside to cure, the green ones often start to turn tan over time. This is our fourth year of growing this amazing crop! 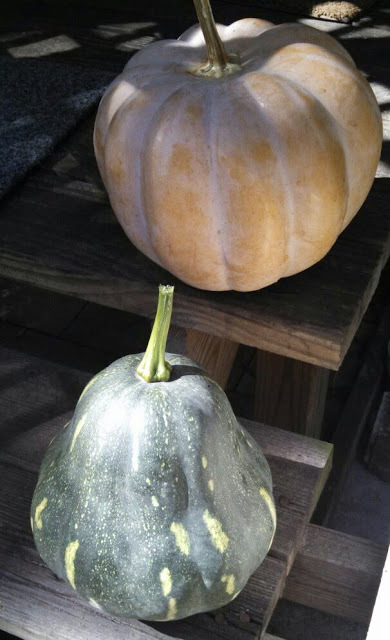 In 2016 we had 1 planned and 2 inadvertent Seminole pumpkin crops! 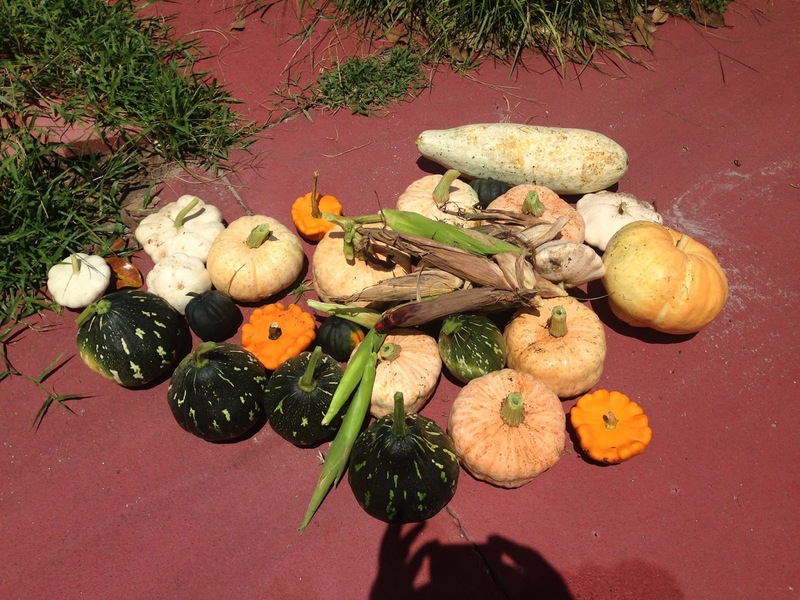 Our planned crop was seeds saved from our 2015 crop planted into two-15 gallon containers. Neighbors yard. They let the vines grow and had their first crop of SP! A 2nd crop of SP! Escaped the run, and covered an area in front of the coop, producing our third crop! That is fantastic. They always FLEW out of my compost piles, too. Glad your neighbors didn’t kill those vines! Hi David, where is a good place to buy Non-GMO seminole pumpkin seeds? I plan on trying to grow a few in Ga in the spring, maybe I will post a few pictures. I would like to attempt a melon pit from your book Compost Everything. I am curious how well they would do using the “Three Sisters” method? Baker Creek seeds should have them. Also, a lot of the Florida gardening groups on Meetup.com are passing around seeds. I imagine they would take over a three sisters garden – they pull down a lot of vegetation! I live less than a half mile from the beach in Daytona Beach. Last year, I planted about a dozen seminole pumpkins and, although the plants themselves did well and flowered very often, I only got one small pumpkin. Does anybody know why? Is it because of my proximity to the beach, or likely another factor. Thanks. It’s hard to say. I heard quite a few folks in Florida had issues with them this last year. When did you plant? Here’s an update on my Seminole Pumpkins. Now the ones I planted last year are producing. The problem evidently wasn’t because of my proximity to the beach. So perhaps it depends on the time of year or the age of the plant? I’ve been growing Seminole Pumpkins on the Mississippi coast using seeds that came from Apalachicola, Florida. I’m experimenting with drying a couple and the result is very good. The dried strips are sweet and flavorful as a snack. I’ll grind some into a flour and I’m looking for a recipe or instructions for a traditional Native American bread. I’ve found lots of recipes on the web, but they all rely on lots of wheat flour and sugar. Any suggestions or potential sources of information? Thanks. They don’t seem to like shade, but if they can climb the tree they’ll do okay. In your area, I’d probably plant in September and hope for the best. February is optimal. We discovered that our squash love the mulch around our various tropical fruit trees. First was an acorn that turned up from who knows where. Then planted butternut that have taken over the whole back yard. 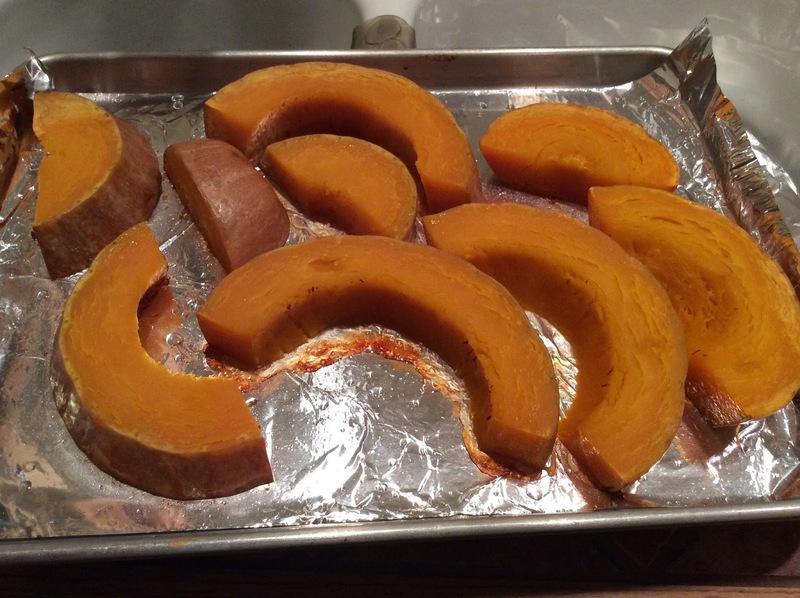 Now want to try Seminole pumpkin. Can we start seeds now in Zone 10 or should we wait? Bought seeds from ECHO. I might wait until Oct/Nov to plant them. If you’re near the coast and get cooler summers, you might try now. Generally, though, the bugs destroy them in Florida summers. The pumpkins are doing terrific! Will send photos soon. Still have some seeds left, how late in the season can I plant them? Can I save the seeds from season to season and what is best method? How do we submit photos? Do you have a Facebook page? David, what is the best time of the year to plant Seminole pumpkin seeds in zone 10a. Coastal Palm Beach county. I was able to get a few seeds and I don’t want to waste them by trying in the wrong time of the year. Is native sand ok or would a compost rich area work better? Direct seed or start them in pots? Thanks for all you do and the knowledge you are passing on to us. I would plant them right now. Thanks for the quick response. I will get them started. I’m in Ocala, where can I find Seminole Squash Seeds? Check out local gardening/permaculture groups on Meetup.com. There are a lot of people with seeds to share. Hello Brian Vote…..I live in Ocala and have seed that I will share. I now have 4 seedlings planted in my raised bed almost ready to start getting there second set of leaves. Give me a shout.